With under a month to the start of the Longines Masters competition in New York, the selections for the Riders Masters Cupteams are about to be revealed to the public. A real match between the world’s two major equestrian powers, the United States and Europe, the Riders Masters Cup promises to be an exceptional battle. Philippe Guerdat, team leader of Riders Europe, reveals today his shortlist for this 4th edition with the hope of winning once again against the Americans, who will be more determined than ever and on their home ground. 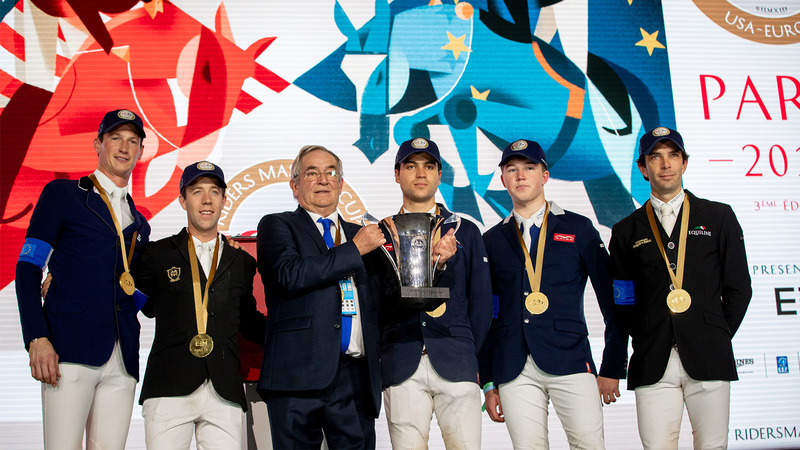 Between young talents and leaders of the discipline, Philippe Guerdat unveils a list that will undoubtedly allow him to try for a fourth victory in the Riders Masters Cup with his European riders. H&M OFFICIAL TEAMS PARTNER OF THE RIDERS MASTERS CUP! The Longines Masters of New York is proud to announce that Swedish clothing-retail company H&Mwill be the official apparel partner of RidersUSA and Riders Europe for the fourth edition of the Riders Masters Cup. H&M will be designing custom apparel for competitors and event staff including FEI-regulated riding jackets for both Riders USA and Riders Europe, jackets for both teams’ Chef d’Equipe and uniforms for the dedicated Ring Crew. Additionally, riders will be jumping over a new H&M- customized jumping fence during the competition’s two rounds of high-stakes duels. The Riders Masters Cup debuted during last year’s Longines Masters Series in Paris, introducing a new, exhilarating type of competition between US and European riders in a head-to-head matchup. 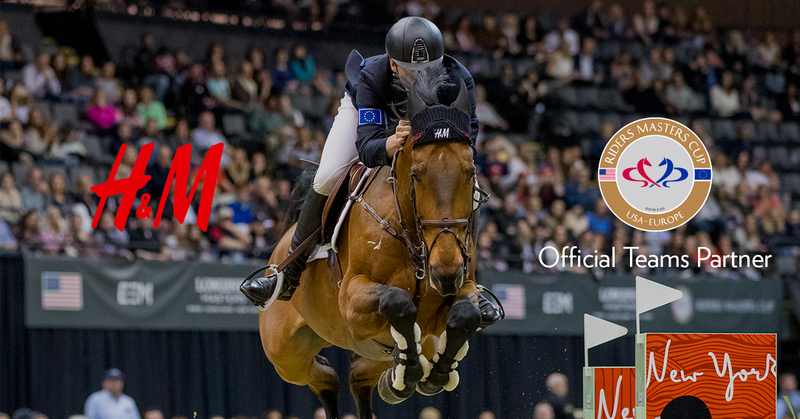 As Riders USA and Riders Europe look to face off for the fourth time at the Longines Masters of New York at NYCB Live, Home of the Nassau Veterans Memorial Coliseum on April 27th, Riders USA will fight to win its first RidersMasters Cup title of the series. H&M is no stranger to show jumping as the company has been a longtime sponsor of the sport and the riders in Team H&M: Malin Baryard-Johnsson, Peder Fredricson, Nicola and Olivier Philippaerts. 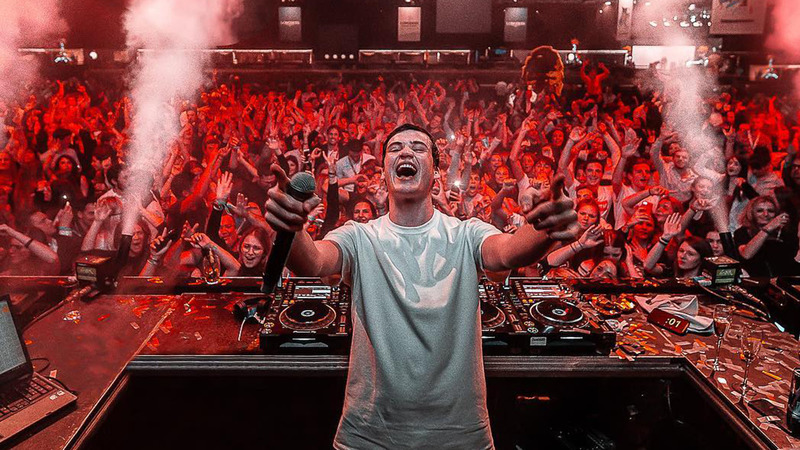 Celebrate the winning team of the Riders Masters Cup with Henri PFR, the official 2018 Tomorrowland DJ, who returns to New York after his exceptionnal DJ set in Paris and Hong Kong!